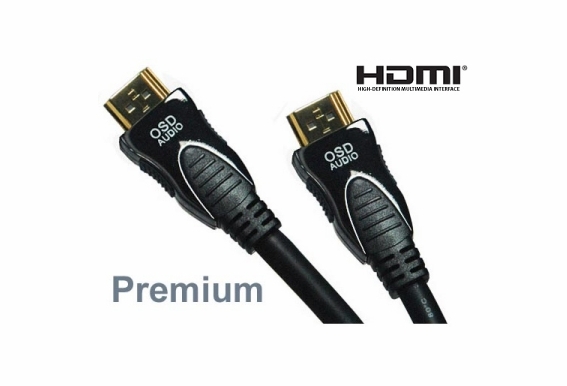 HDMI cable brings HDTV to an eye-popping level of clarity and gaming will feel like you're in the middle of the map! The highest sources for audio and video like LCD monitors, LED TVs and Blu Ray players deserve the highest quality cable. High Definition Multimedia Interface is an uncompressed, all-digital audio/video interface and the difference is dramatic the second you plug it in. 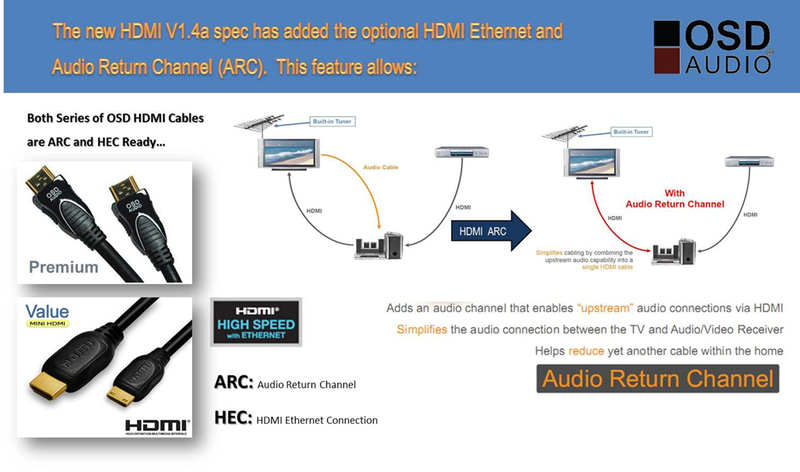 HDMI® provides an interface between audio/video sources, such as a set-top box, DVD player, and A/V receiver and/or HDTV screen. 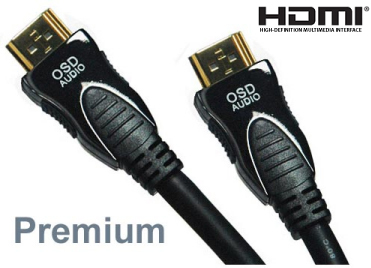 OSD Audio HDMI® cable supports standard, enhanced, or high-definition video, plus multi-channel digital audio on a single cable. It transmits all ATSC HDTV standards and supports 8-channel digital audio, with bandwidth to spare to accommodate future enhancements. I was advised to look for three things in my search for an HDMI cable, (1), 1.3, (2). Type A, 19 pins,and (3). catagory 2. The only thing out of those I see is 1.4 which I was told I don't need for my set up. 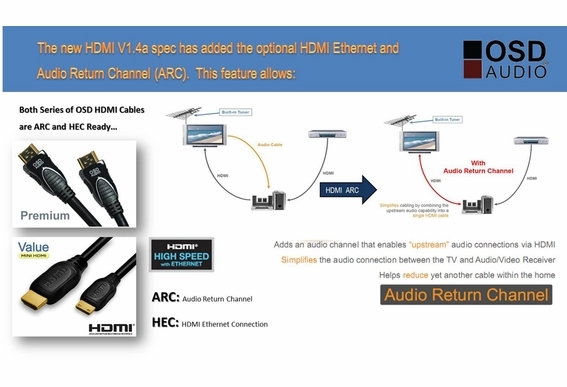 What are these cables, 20ft High Speed HDMI® Cable with Ethernet V1.4 ? Is gold the best connector finish? Does it matter wht AWG wire is used on the cable 28 gauge vs 22 gauge? Do your cables have gold plated connections?